A television production worthy of the name of the great Swedish author. 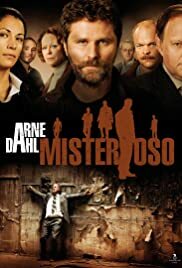 This is a great Swedish series based on the ''A-Gruppen'' novel series by Jan Arnald (Arne Dahl is his nom de plume) which were one of the best products of the ''Nordic Noir'' genre. Unfortunately, due to the lack of English editions regarding the last novels of the series, I've only read the first six and I can honestly admit that it was a splendid and rewarding experience. The distinguishing mark of ''A-Gruppen'' books was that there were no main characters, but it was rather the team that consisted the protagonist of the series. Each novel focuses specifically on one or two members of the elite group of Swedish police, and we become familiar with their personal stories and problems, which always, as everything in Arne Dahl's novels, interconnects with the different parts of the main plot. The stories are usually perhaps a bit more complicated than absolutely needed but this doesn't spoil any of the fun. The adaptation of the novels to two one-and-a-half hour episodes allows a more or less faithful adaptation of the complex book plotlines and the final result is more than satisfying. The casting consists of a Swedish all-star group of actors such as Shanti Roney, Matias Varela, Malin Arvidsson, Claes Ljungmark and many others. ''Arne Dahl'' is a tv production worthy of the name of the great Swedish author.